Most of y'all who know me and the hubs personally know that The Avett Brothers is our favorite band. Ever since I heard their song, "A Father's First Spring," I thought it was a perfect reflection of our pregnancy and impending journey of parenthood. The Bros are brilliant songwriters. Lyrics like "I have been homesick for you since we met" and "When I'm in the sweet daughter's eye/My heart is now ruined for the rest of all time/There's no part of it left to give" are why I fall in love with their music over and over again. It's a beautiful song - listen to one of my favorite versions HERE. I digress. I tried to get this post up yesterday to wish a very happy first Father's Day to my main squeeze, but with an infant, you can't really set your own schedule. ; ) Happy "Father's First Spring" to my husband; seeing you care for our little girl with patience and grace lights up my world. We're both so lucky. 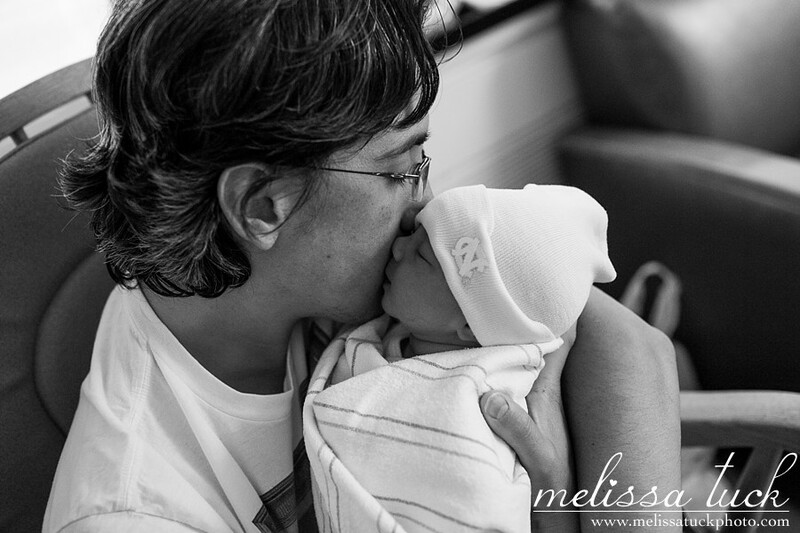 This first photo is from the first night in the hospital, and it melts my heart. And Happy Father's Day to my dad, "Pappy," and Ryan's dad. We all love you very much and appreciate all you do for us!